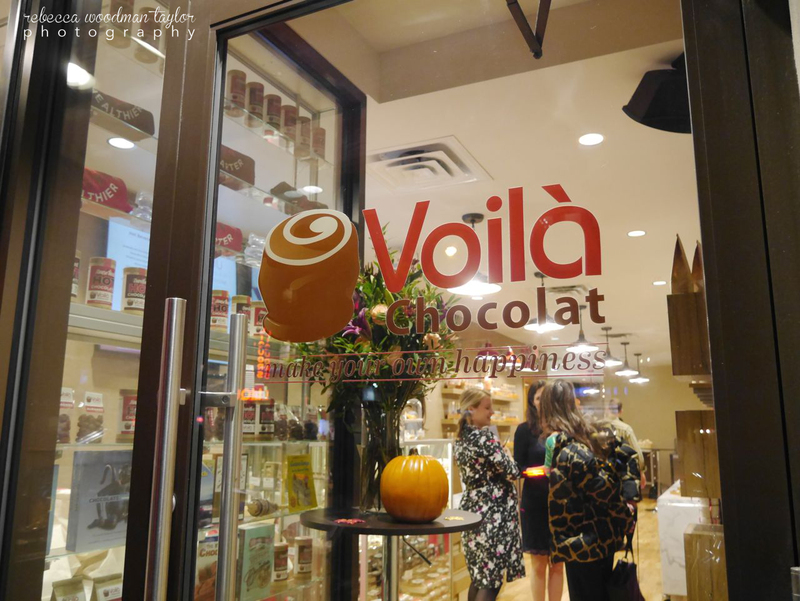 Voilà…a whole new chocolate experience in NYC. There is a new kind of sweet shop in town, it’s decadent, it’s chic and it’s hands on. Voilà Chocolat opened its doors in December 2014 bringing a new experience to chocolate lovers young and old. One of the creative partners behind this year-old venture is Master Chocolatier Christophe Toury. 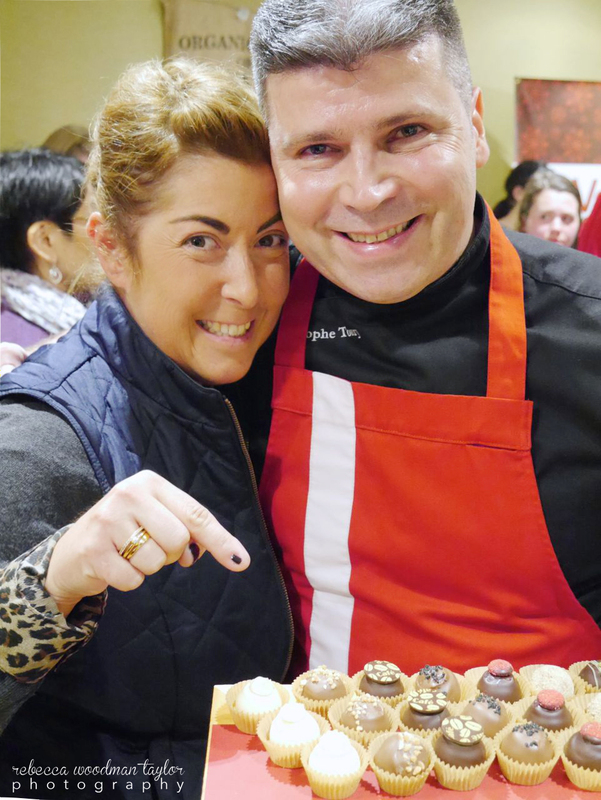 I met Christophe in the days when he worked for Jacques Torres Chocolates and I worked for Ron Ben-Israel Cakes. And with this new venture, Christophe is bringing Chocolate to a new level. We all love to eat chocolate (if you don’t, I’m not sure if we can be friends…) and now it can be your own creative experience. Voilà had their fall open house last night and I was happy to be on the guest list. 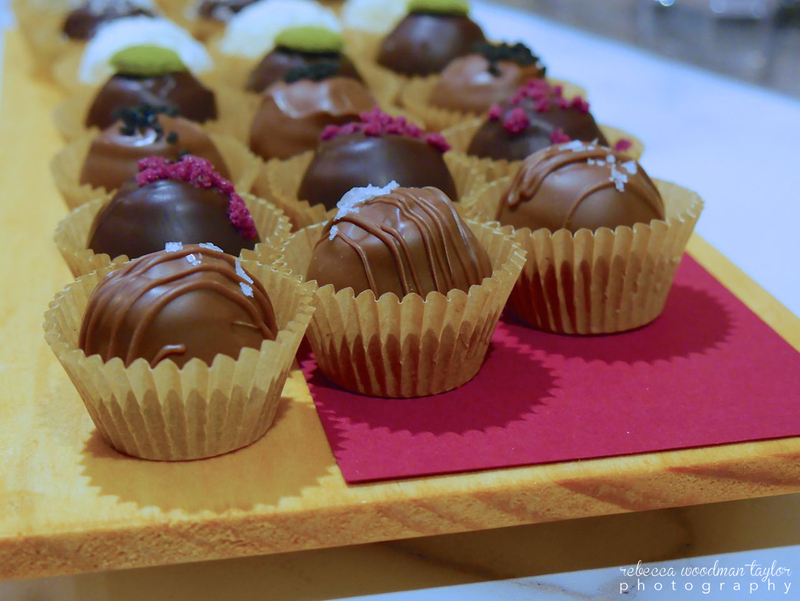 We had delicious sips of Prosecco, a bit of caviar and were able to try all the delicious truffles Voilà makes. My favorite was the peanut butter with pop rocks…adult flavor with a festive finish. Who knew chocolate could be chic and fun at the same time. 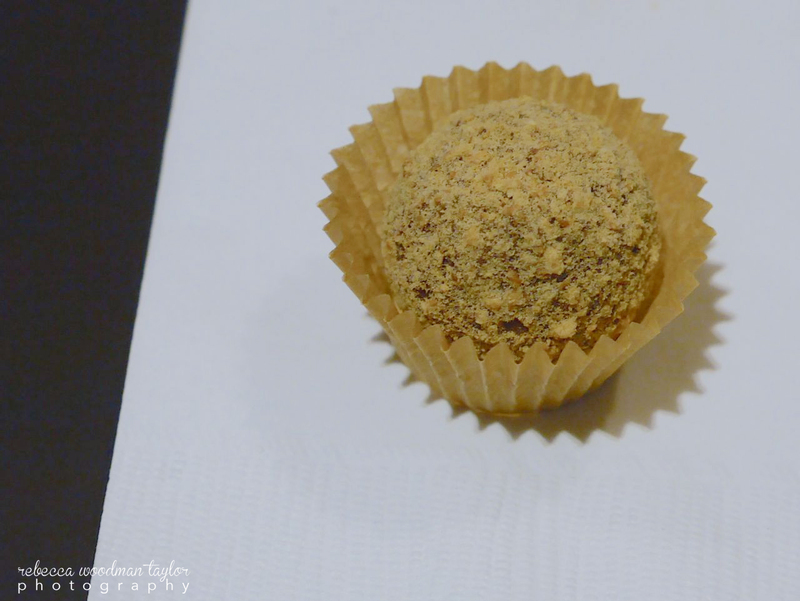 You can go in and buy Voilà’s delicious truffles or you can learn how to make them! They have staff on hand to help you create and all the fixins’ to make each and everyone of the truffles you handcraft unique. Their beautiful atelier is located on the upper west side in NYC on 79th Street a 1/2 block from the 1 train or visit Voilà on the web.